If you want to have a compact player, that's capable of showing any video that you download from the Internet, try MPCStar. This application supports a vast amount of formats, among which we'll find the following: AVI, MKV, OGM, MPEG, WMV, ASF, RM, RMVB, MOV, QT, 3GP, M4V, PMP, FLV, F4V, SWF, IFO and VOB. - Easy-to-use and minimalistic interface. - Playback of the most popular multimedia files. - Convert files to various formats. 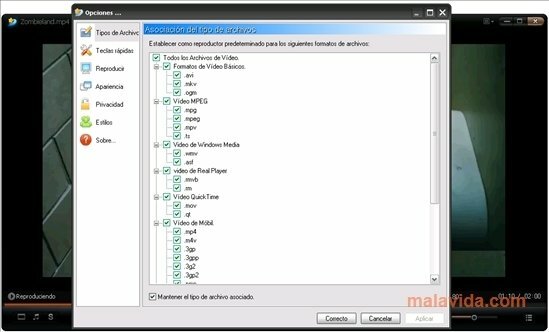 - Control of the video and sound features before playback from specific configuration panels. - Select multimedia files that will be associated with the application, in a predetermined way. - Configure customized keyboard shortcuts. 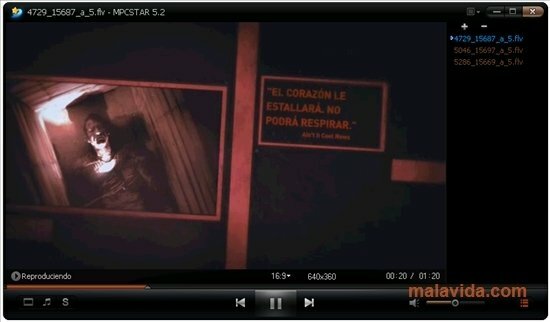 - Obtain captures from a video. - Possibility to show two subtitle chains simultaneously. - Adjust and synchronize subtitles that aren't synchronized with the image. Without a doubt, MPCStar is a great alternative to Windows Media Player and other well-known Windows players.